Cloud Fallen Water is an online project hosted by Cosmos Carl. 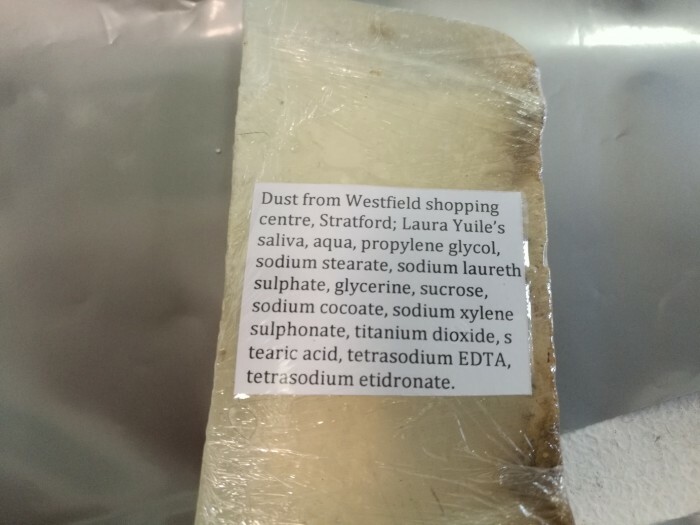 Cloud Fallen Water is a handmade soap sold via an Etsy shop and containing the gentle exfoliant of dust and dirt carefully hand-picked from the floors of East London's Westfield shopping centre, along with an energising and moisturising burst of my fresh spit, not from concentrate. 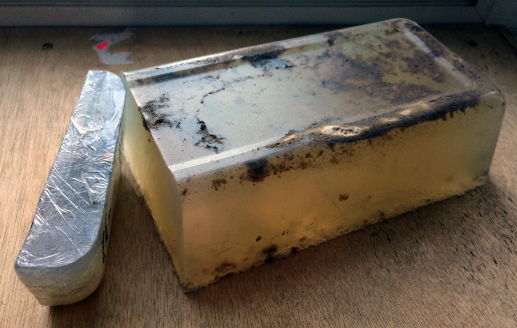 These soaps are made in small batches to ensure the highest quality product. They may slightly vary in size but never in quality. Please allow for colour and ingredient variations due to its handmade nature and the evolving nature of the shopping centre. There is no palm oil in these soaps as its production is not ethical and leads to deforestation, habitat degradation, climate change, human rights abuse and animal cruelty. A limited number of soaps are available here.